A network of pipelines threatens Spokane's drinking water. 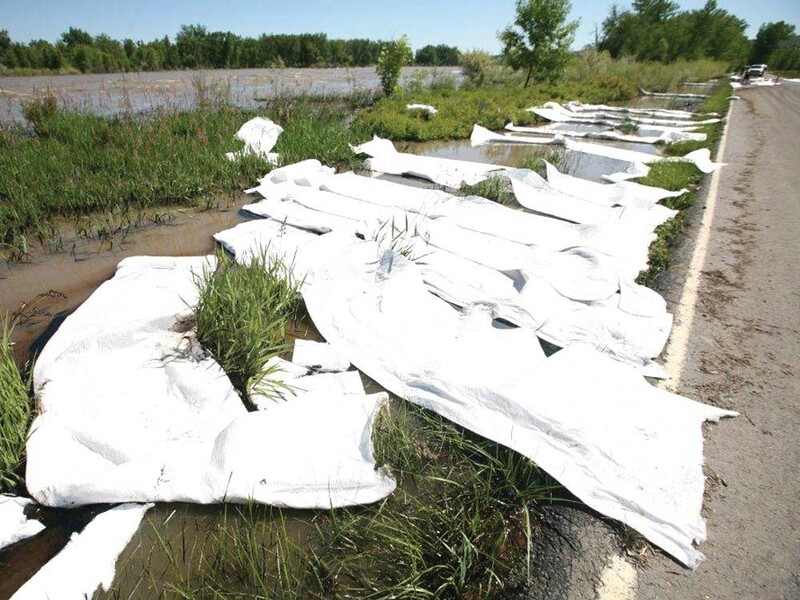 Absorbent pads try to contain the oils in the Yellowstone River. At least 42,000 gallons of crude oil spilled into the Yellowstone River near Billings, Mont., two weeks ago after an ExxonMobil pipeline burst. The rupture reportedly has the potential to release 7 million gallons into the river, but the company says the spill was an accident and is contained. Breaks in pipelines have happened before — notably in Bellingham, Wash., more than a decade ago, a disaster credited with strengthening regulation of the nation-spanning network that ferries oil, natural gas and other fuels. But can a pipeline disaster happen here? Yes, say those who keep a close eye on the Spokane River, including the top water officials at both the city and county of Spokane. Three major pipelines run through the area. Yellowstone Pipeline (no connection) carries jet fuel, gasoline and diesel over the Spokane Valley Rathdrum Prairie Aquifer, the region’s sole source of drinking water, and crosses the Spokane River at various points. The Chevron pipeline carries the same hazardous liquids for a shorter distance north of the city, and the Williams pipeline carries natural gas. Both men say emergency procedures are in place for a large-scale spill but point to the complex regulatory structure surrounding the nation’s pipelines as an impediment to truly safeguarding the region’s drinking water. In the state of Washington, there are seven entities that enforce pipeline regulations — and that’s if you consider “local government” as one entity. The two primary bodies that oversee the “safe operations and maintenance” of pipelines are the Washington Utilities and Transportation Commission and the U.S. Department of Transportation’s Office of Pipeline Safety. Beyond those, the Federal Energy Regulatory Commission and the Washington State Energy Facility Site Evaluation Council watch over the siting and abandonment of pipelines, and various other local, state and federal agencies regulate land use, environmental and spill prevention measures. Spokane attorney Breean Beggs lived in Bellingham during the pipeline explosion that killed three children and he eventually represented the family of a boy who died because of the spill. Since the explosion, Beggs says, pipeline regulations have improved — just not enough. Part of his complaint involves the negotiations currently happening between Spokane and ConocoPhillips for a new “franchise agreement,” a 10-year deal between the company and the city that has been expired for the last couple of years. Beggs says the city could have ConocoPhillips move the city’s well farther away from the pipeline. “Regulation is not allowed by city,” Beggs explains. “The city can’t force the pipeline to move away form the well. However, the city has the responsibility to maintain the integrity of the well. … The city could move the wellhead to make it safe and they could have Conoco pay that cost. They could include that in the franchise agreement: ‘If you want to continue going through our city, you have to pay to move our well.’” But Marlene Feist, the city’s spokeswoman, says moving the well or pipeline has not been a subject of negotiations, which are expected to wrap up in about three months. But Triplett, the city’s water official, says moving the well would be meaningless. “It’s still going to be laying above the aquifer,” he says. What’s important is ensuring that ConocoPhillips follows safety rules, Triplett says. “I’ve always said that we need a third-party consultant to make sure ConocoPhillips is following industry standards, but they don’t want that,” he says.